What exactly is a Deep Litter System? 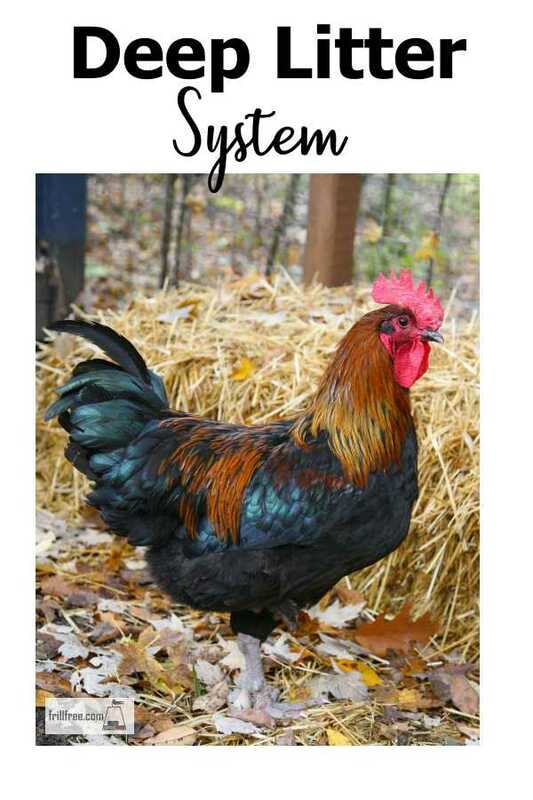 This is when you give your backyard poultry flock a thick layer of scratchable material such as wood shavings, leaves, straw or hay which builds up with the addition of their manure and makes a self composting hen house. 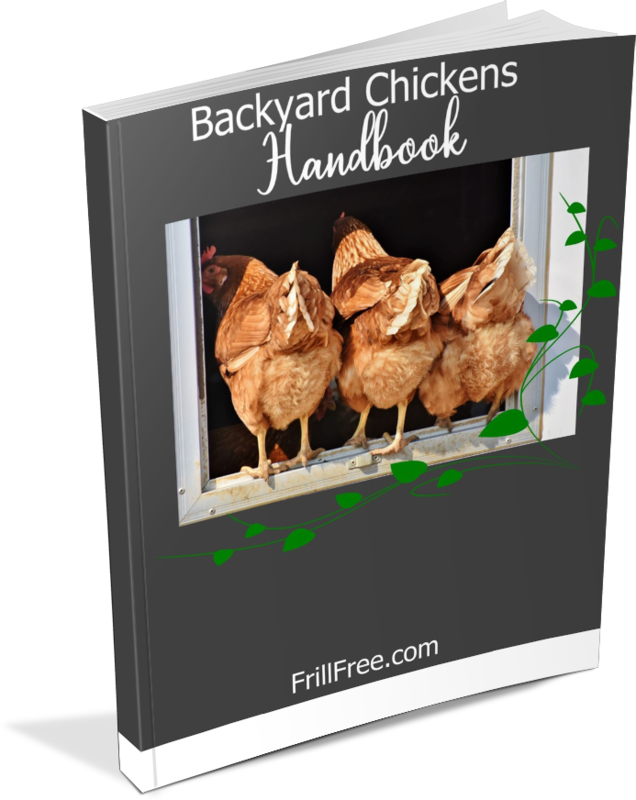 I've raised chickens in many different chicken houses, set ups, and climates. The best success I've had was whenever I used an earth floor system, and put chopped leaves, straw and other light and airy type materials scattered over the floor. I've had chicken coops with concrete floors, and wood floors. I don't recommend either of these options, regardless of what other people tell you. Concrete is extremely hard on chickens feet when they jump off their perches, as well as being very cold. Sometimes this can cause a problem with lameness, and bruising. As you probably know, chickens will pick on one that shows any physical problem, chasing them off the food. The other thing that happens is that they won’t be able to perch properly, and will try and sleep in the nesting boxes – which makes a mess, due to their lack of neatness. In most cases, if the house itself is stud walls attached right to the concrete with bolts, it sets up a disastrous problem with the sill plate, at the bottom of the wall starting to rot. It's impossible to clean a wooden chicken coop, even using a hose and water, as the debris gets underneath. The worst thing that happens is that the eggs themselves pick up odors, especially rotting damp smells. Not a pleasant experience to bite into a freshly prepared egg salad sandwich that smells bad. The perfect scenario is an earthen floored brick or concrete walled chicken house, with the concrete going up to about 50cm (a couple of feet). This allows you to fill the floor with the chopped leaves, straw or other litter, which the chickens love to scratch in. Your main task will be to occasionally scratch any deeply manured areas, such as under the perches where your birds sleep, and scattering a small amount of hen scratch or other grain to get them interested in digging for it. This keeps them occupied doing what they love most (scratching) and stops bad habits like feather picking in their tracks. Eventually, the litter gets broken down, and you can add more. A small amount of earth gets mixed in, and the micro-organisms start their task of breaking down the material into compost. This can be a 6 month or even a twelve month process. Depending on the number of birds, and the size of your chicken coop, you can simply keep adding more litter, and clean it all out once or twice a year. This makes the very best chicken compost. You can plan ahead by putting some dry leaves in bags in the fall, to use through the winter. You'll find that even when the chickens have to be confined because of bad weather that they'll be happy for hours digging and scratching. Problems with the deep litter method are few; the water font can get plugged with the leaves, straw and other debris that the birds enthusiastically scratch up. Put the font up on a slatted box, low enough that they can all reach it, but high enough that the leaves don't fill it.